Cross-stitch is a type of needlework that is used to decorate fabrics or other items. It is quite distinctive by its stitches which all feature an X shape. Think of cross stitches as an early version of computer screen pixels. Based on how the artist puts many X stitches together, they can form any number of patterns, shapes, and even images that look almost like photographs. Cross-stitching is fairly easy to start. It typically requires a fabric with an even weave that is stretched across a frame or a hoop. To start stitching, simply insert the needle into the fabric to create a small diagonal line, and then create an opposing line that crosses over it. The true mastery of cross-stitch comes in creating more advanced projects. In earlier times, cross-stitch was used as decoration and embellishment. Women in medieval times would make a sampler, which was a length of cloth that was used for practice or to show off their skills. The sampler would typically feature a number of patterns, the letters of the alphabet, numbers, and occasionally some basic imagery. These samplers were also useful for recording new types of stitches or patterns that people wanted to remember. Cross-stitch is considered to be among the earliest types of embroidery that exist. Even so, this craft is still alive and well around the world. It is still done professionally to decorate products, but it is also practiced as a hobby. 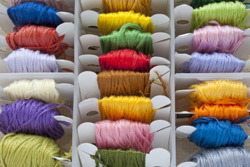 Craft stores sell starter kits that contain a pre-stretched cloth over a hoop, threads, needles, patterns, and other items necessary for starting a first cross-stitch project. 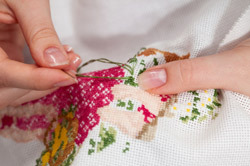 Learn more about cross-stitch with the following resources! An Introduction to Cross-Stitching (PDF) ��� Read an article on cross-stitch for beginners, including its history, how it�۪s done, materials required, and some basic patterns. Getting Started ��� This brief article explains what beginners need to get started with cross-stitch, with a few illustrated examples. Cross-Stitch Tips ��� Follow a series of helpful tips to create a successful cross-stitch project and avoid common errors. Starting a Project ��� Learn how to prepare yourself before starting on a cross-stitch project in terms of time and supplies. There are many ways to get involved in the knitting community and with cross-stitching organizations. Some of these organizations have even been around since the late 1800�۪s; developing and sharing unique embroidery styles to knitters world-wide. Embroiderers Guild of America ��� This non-profit group helps to promote and support all types of needlework, including cross-stitch. National Academy of Needlework ��� The NAN focuses on educating people in embroidery, cross-stitch, and other forms of needlework. Cross-Stitch Meet up Clubs ��� Find informal gatherings of people who enjoy cross-stitch in your area. Whether you consider yourself a novice cross-stitcher or an avid knitter, there are many creative and outstanding patterns available for free with the click of a button. Following a cross-stitching chart or pattern may initially seem like a daunting task, but it�۪s really quite simple. A common method to cross-stitching is the continental method. This is a simple and easy way to learn how to properly cross stitch. This continental method is where the knitter holds the yarn in the left hand allowing the knitter to simply scoop the yarn with the right needle. This method allows you to easily follow a pattern without missing a stitch. 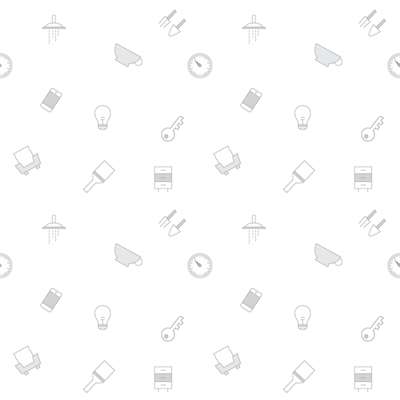 Lighthouse Pattern (PDF) ��� Print a free lighthouse pattern to use for a nautical-themed design or gift. Whimsical Patterns ��� Choose from a free selection of designs that include television and video game characters, flowers, and fish. Breast Cancer Ribbon (PDF) ��� Use this pattern to show your support of breast cancer research and fund-raising, and inspire others with it too. Geometric Designs (PDF) ��� Get inspired with a number of beautiful geometric and floral cross stitch designs. Cross Stitch Charts ��� Browse through a huge free online bank of cross stitch charts and patterns of varying themes. Big Cats ��� Use this cheetah cross-stitch pattern to bring a taste of wildlife into your home. Cross-Stitch Samplers ��� Find out how to make the cross-stitch samplers that were commonly used in medieval times. Antique Patterns ��� Download free copies of old books that detail antique patterns for cross-stitch and other types of needlework. Cross-Stitch Inspiration ��� Have a look at an online gallery of advanced projects to see the kinds of designs and art that are possible with cross-stitching. Cross-Stitching Magazine ��� Review the online version of this popular magazine for plenty of articles, contests, downloads and much more, all related to cross-stitch. Cross-Stitch & Needlework ��� This bi-monthly magazine offers a wealth of tips, downloads, and other useful resources for beginners as well as advanced cross-stitchers. Cross Stitch Embroidery ��� Read an online archived book to learn about cross-stitch techniques and patterns in the late Victorian era. Starting an Advanced Project ��� Read about how to start off on an advanced project by creating a pattern out of a photograph, assembling tools, and planning the design. Cross-Stitch Resources ��� Find additional resources and online forums related to cross-stitch to help with additional queries you may have. Cross-stitch is a type of needlework that is used to decorate fabrics or other items. It is quite distinctive by its stitches which all feature an X shape. Think of cross stitches as an early version of computer screen pixels. Based on how the artist puts many X stitches together, they can form any number of patterns, shapes, and even images that look almost like photographs.